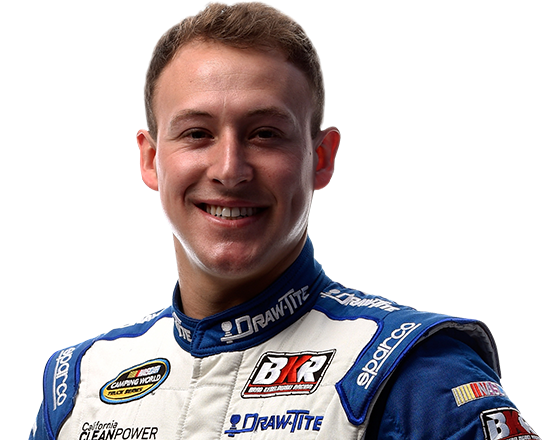 Blue Gate Bank has announced a new partnership with Daniel Hemric, driver for Brad Keselowski Racing in the NASCAR Camping World Truck Series. Blue Gate Bank will be the primary sponsor of the No. 19 Ford F-150 beginning with today's Pocono Mountain 150 at Pocono Raceway. "To celebrate our inception and to bring recognition to having received regulatory approval in November for our new bank, we've entered into this partnership with Daniel and BKR," said Blue Gate Bank founding Chairperson Molly Gallaher-Flater. For the Pocono race, the No. 19 will feature a one-time only special electric blue and vivid fuchsia paint scheme commemorating Blue Gate Bank's founding. Blue Gate Bank is just the fifth new bank formed in the United States since the 2009 financial crisis. "We are a unique financial institution and this opportunity is a unique way to establish our identity. We are pleased to be with BKR and Daniel in NASCAR," Gallaher-Flaters added. "Blue Gate Bank is coming onboard at a very exciting time, and I'm sure we will electrify fans this weekend with the No. 19 Ford F-150," said driver Daniel Hemric. In his second Truck Series season Hemric is in a tight race to qualify for the NCWTS Chase. 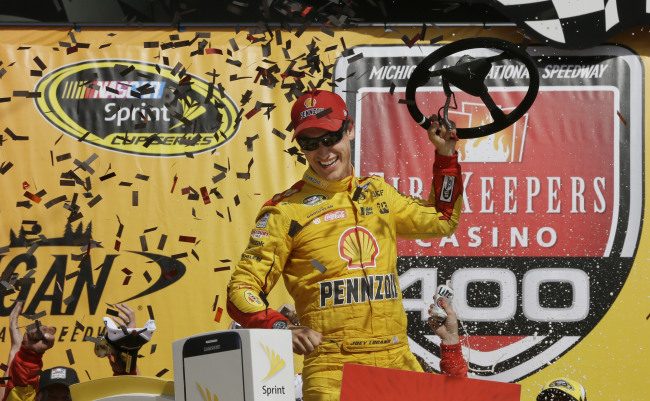 He stands third in the NCWTS standings and sixth on the Chase grid following the most recent race at Eldora Speedway. 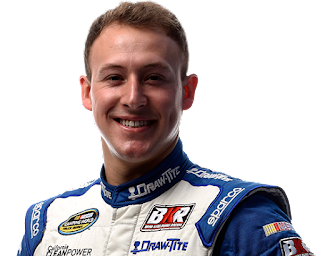 "We are pleased that Blue Gate Bank has decided to use Brad Keselowski Racing and the No.19 Ford F-150 driven by Daniel Hemric to introduce their new bank," said BKR general manager Jeremy Thompson. "NASCAR Camping World Truck Series racing is a great platform to bring awareness to a new company's brand." Blue Gate Bank will also appear as the primary sponsor on the No. 19 Ford at Bristol on Aug 17, New Hampshire on Sept. 24, Las Vegas on Oct. 1, Martinsville on Oct. 22, Texas on Nov. 4 and Phoenix on Nov. 11. 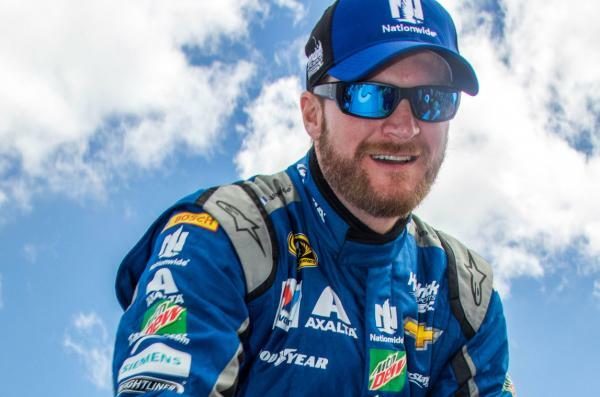 NASCAR has unveiled its aerodynamic package for the NASCAR Sprint Cup Series Pure Michigan 400 at Michigan International Speedway on August 28. NASCAR debuted a lower downforce (and less sideforce) aerodynamic package at the two-mile track for the FireKeepers Casino 400 earlier this season. It was met with rave reviews from the drivers, media and fans. Teams will return with the same package for the Pure Michigan 400 in August. NASCAR has made updates to the 2016 aerodynamic package to further reduce downforce and sideforce. They include welded truck trailing arms, new brake cooling rules, a reduction of skew-generated sideforce by setting rear toe to zero degrees and aero package tweaks to reduce aero generated downforce and sideforce. In addition, rear spoilers will be shortened from 3.5 inches to 2.5 inches and splitters reduced to two inches, with deck fins resized to match the spoilers. 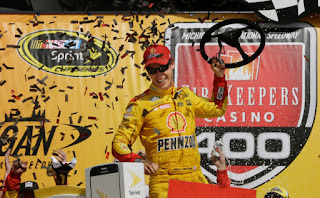 The FireKeepers Casino 400 featured 14 lead changes among eight drivers, with a margin of victory of less than a second. Drivers and fans were entertained by the new package, especially on restarts. NASCAR also used this aerodynamic rules package at Kentucky Speedway on July 9. 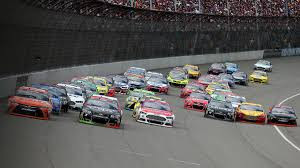 “We had an amazing race in June for the FireKeepers Casino 400 with the aerodynamic package that NASCAR implemented,” said MIS track president Roger Curtis. “I have loved what NASCAR has done with the lower downforce rules this year, it has made for some exciting and entertaining racing. I am excited to see the teams return for the Pure Michigan 400 with the same package they used in June. This race weekend at Pocono Raceway marks the first anniversary of the Fanatics Trackside Superstore – NASCAR's new, at-track shopping experience. The new Trackside Superstores offer fans a one-stop-shop on race weekends, along with the largest selection of in-store NASCAR merchandise in the world. Halfway through 2016, the Top-3 drivers are no surprise with Dale Earnhardt Jr. leading the rankings, followed by six-time Sprint Cup Series champion Jimmie Johnson and defending champion Kyle Busch. With rising stars like Austin Dillon, Kyle Larson, Joey Logano and Sunoco Rookie of the Year contenders Chase Elliott and Ryan Blaney, there are currently five drivers in the Top-20 list who are 26 years of age or younger. With six Top-5 finishes and two poles this season, Elliott continues to be one of the top three drivers in sales increases each race weekend, and ranks fourth overall in full-time driver sales. Elliott’s sales have nearly quadrupled in his rookie year, making him the youngest driver in NASCAR Sprint Cup Series history to rank among the Top-5 in trackside merchandise sales. Blaney is now a Top-20 selling driver, as well, in the iconic No. 21 Wood Brothers Ford Fusion. "I see more fans wearing No. 21 gear than ever before and it’s cool to see them cheering on our team," said Blaney, driver of the No. 21 Ford Fusion. "There is nothing like seeing someone wearing your shirt or your hat and knowing they bought that because they are a fan. And the Trackside Superstore makes it an easy, one-stop shop for everyone to find your gear. It’s been a great addition to our sport." Fanatics has capitalized on defining moments from Kyle Busch, Martin Truex Jr. and Tony Stewart; all of whom have positive sales trends in 2016. Busch has seen a gain of nearly 80 percent in sales since his comeback last summer and subsequent championship run. The most popular products available at the Trackside Superstore include apparel, headwear and novelty items. Lionel’s 1:64 scale die-casts are up 77 percent year-over-year, one of the largest growth trends across all categories at the Trackside Superstore. Motorsports publisher Coastal 181 has announced the upcoming release of “RON BOUCHARD: Remembering the Kid from Fitchburg,” compiled and edited by Bones Bourcier. The book will first be available at a book-signing event at Thompson Speedway, in conjunction with the return of the NASCAR Whelen Modified Tour for the Budweiser “King of Beers 150” on August 10. Bouchard was 1978 Modified champ at Thompson and also claimed 37 wins at the storied venue, more than any other track at which he raced. Bouchard stepped into the spotlight at a young age, racking up track championships as a teenager and beating the best NASCAR Modified drivers in the Northeast in his early 20s. While a common occurrence these days, during the early ’60s, winning a feature at age 16 (in a cutdown at the Pines Speedway in Groveland, Mass. ), was head-turning. That was the beginning of a stellar racing career, first winning track championships at Seekonk and multiple features at other local short tracks, then on to Modified success across the Northeast, and finally to NASCAR’s Winston Cup, where he stunned the racing world with a victory at Talladega in August of 1981. In the mid-’80s Bouchard turned his talents from racing cars to selling them, growing his business from a small used-car lot in Fitchburg, Mass., into a highly successful chain of dealerships in central Massachusetts. In all his dealings -- with other drivers, car owners and crew, or family and employees -- Ronnie was an even-tempered, laughter-loving, and generous man, turning his own competitiveness and drive for success into opportunities for all around him. 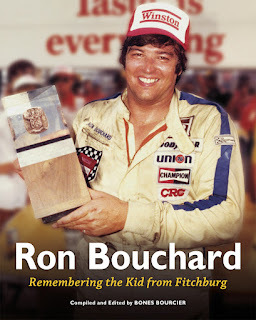 Award-winning author Bourcier knew Bouchard well, having covered his career for racing papers and magazines since 1976. Bourcier and Bouchard had often talked about collaborating on a book before Ronnie’s death from cancer in December 2015, which shocked the racing community. Bones has interviewed those who knew Ronnie best, from family members to household racing names, including Modified icons Bugs Stevens and George Summers, legendary car owners Bob Johnson and Bob Judkins, NASCAR Cup winners Geoff Bodine and Ricky Rudd, broadcasters Jack Arute and Mike Joy, and many more. This book is a labor of love. After the launch and autograph session at Thompson, the book will be available from Coastal 181 for $27.95 plus S&H. It can also be pre-ordered for free shipping before August 10, online at www.coastal181.com, or by phone at 877-907-8181. Soft cover, 264 pages, including 24 pages of photographs. Stewart-Haas Racing will expand into the NASCAR XFINITY Series in 2017. The organization will field a full-time, single-car team in the XFINITY Series with a driver and sponsor lineup to be announced prior to the conclusion of the 2016 season. The XFINITY Series team will be run out of SHR’s current headquarters in Kannapolis, North Carolina. SHR won its first Sprint Cup championship in 2011 with driver Tony Stewart, and its second title in 2014 with Kevin Harvick. Since its inception in 2009, SHR has won 33 point-paying races, two non-point events and 28 poles.